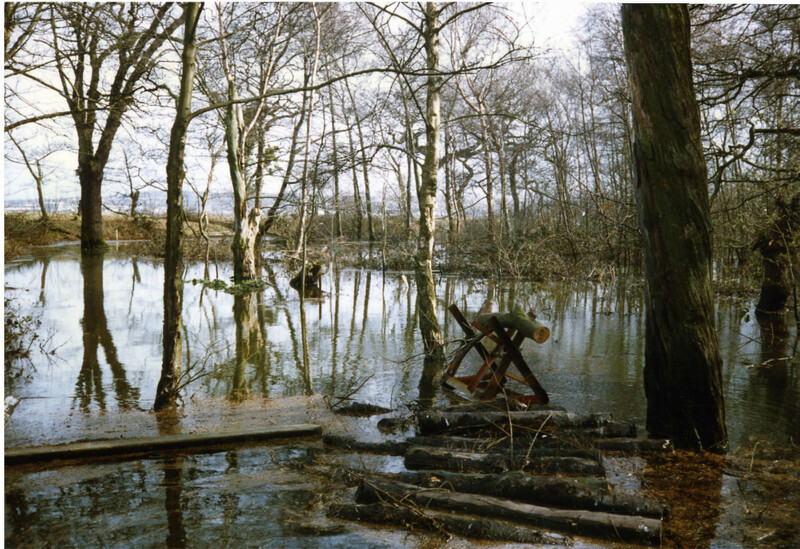 While looking at the Decoy log books to check on dates for the Restoration article, we came across the following entries for February - April 1990.
least 1–1½ m was added to the tide. 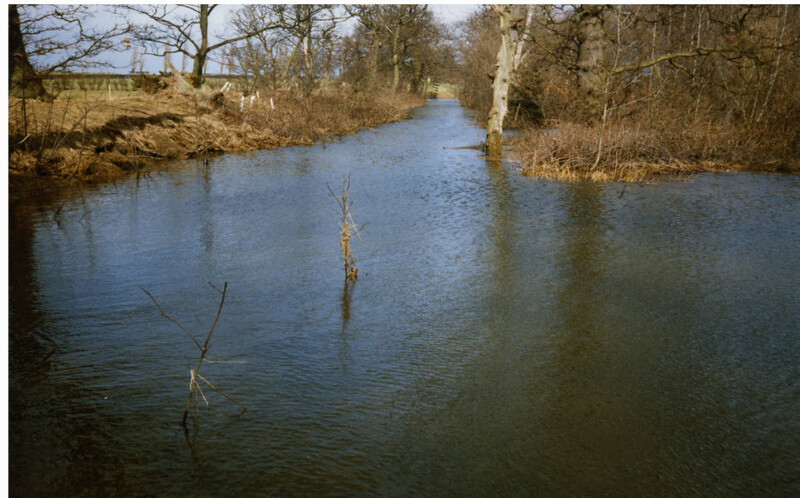 The tide rose higher than the moat bank in compartments A/E in particular and the whole area of the Decoy was flooded with salt water to the height of 1 metre or more. 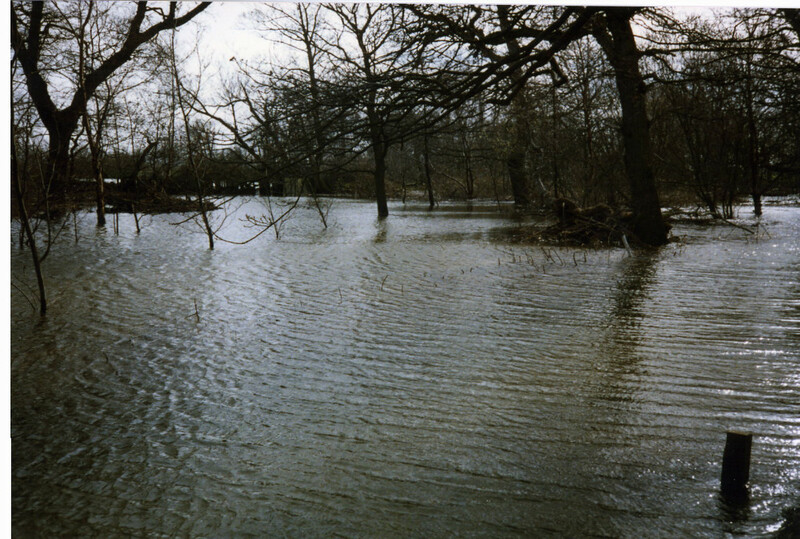 Water reached just below the cottage window sills and the area looked like a reservoir inside the moat banks. With the high water large amounts of rubbish, plastic, timber was scattered all over the Decoy. In the gale two large dead trees came down, one blocking path B. One screen A/E was completely demolished and another B/C was partly damaged. 3 Pumps (3” diameter, kindly loaned by Weaver Hire, Runcorn were put into operation on Friday evening and were kept running until Sunday pm. 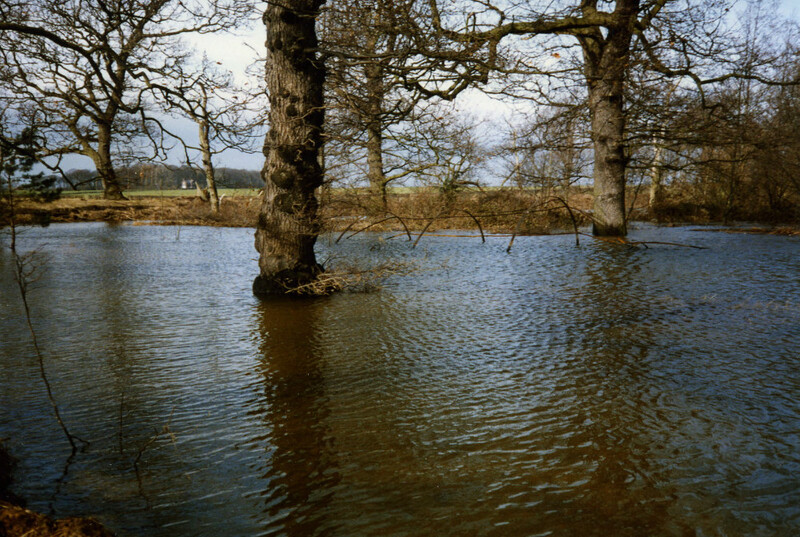 It was estimated that a minimum of 250,000 - 300,000 galls of water was pumped out and the water had dropped by 3”only. After submerging in about 1 metre of water we managed to clear the excess water drain of rubbish, which should allow water to drain off more quickly. What damage has been done to our populations of small mammals, amphibians, dragonflies and butterfly larvae etc. only time will tell. Large numbers of eels present!! 1(1Y) on pond – New record!! Water still very high about 2/3 metre. 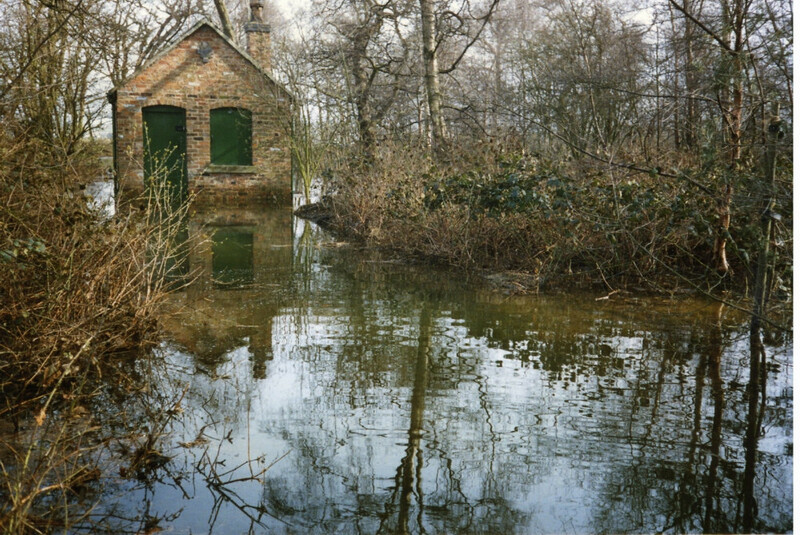 Water still about 1/3 metre high all paths still under water. High tides again due in next few days and again very windy. Filled 15 sacks with earth to make dam by entrance steps. 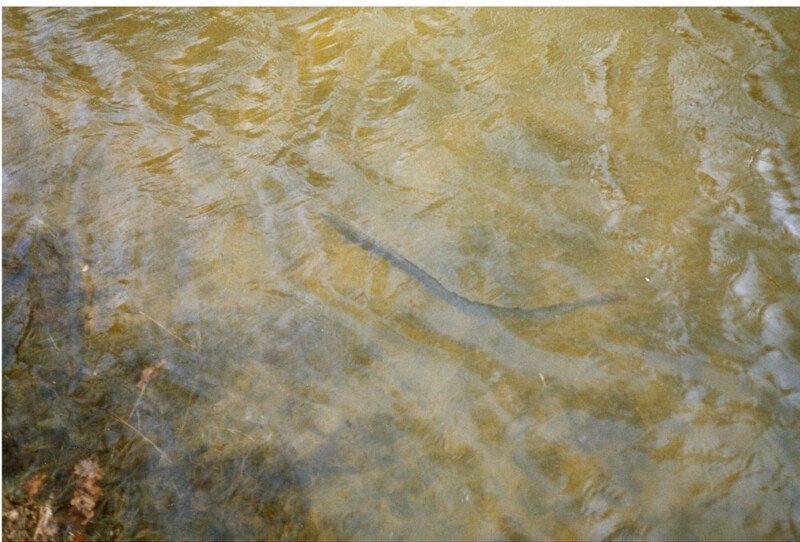 Many eels appear to be dying? Large pump arrived 6” diameter, pumping commenced and continued until Friday AM. 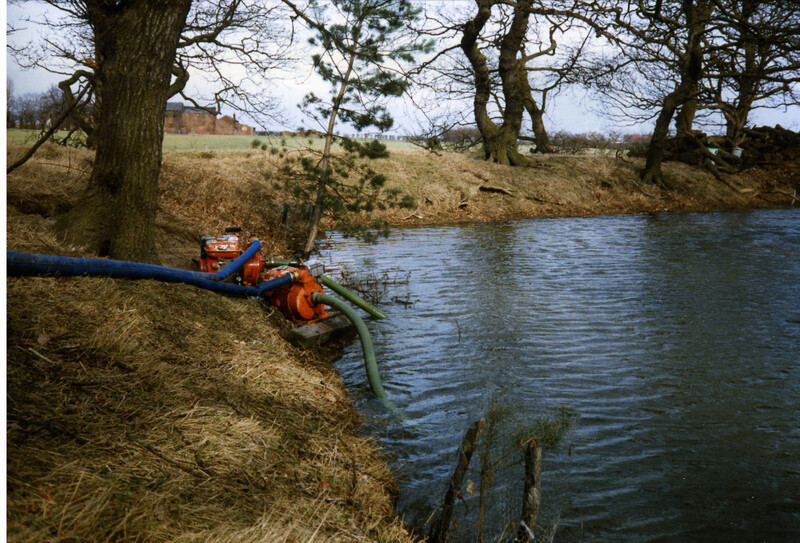 Estimated 1½ million gallons pumped out. Water now down to ditch level. The cottage - note the tide-mark!